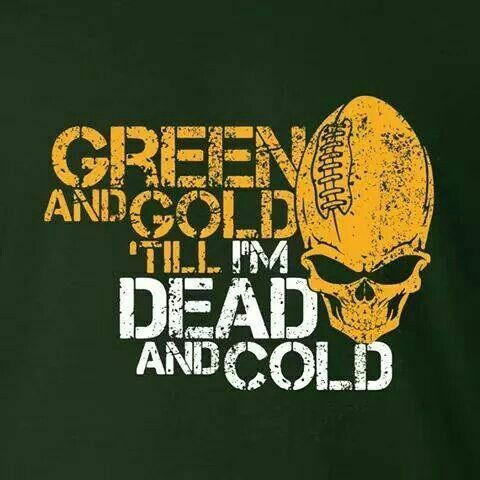 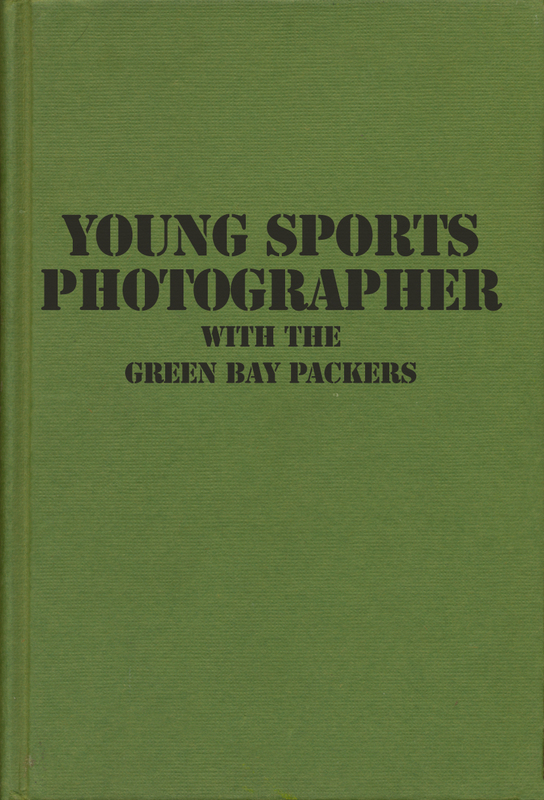 Next up in the vast collection of books about the Green Bay Packers is a rare volume that we didn’t know existed until a few years ago. 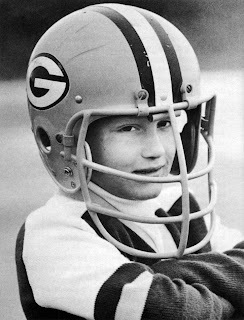 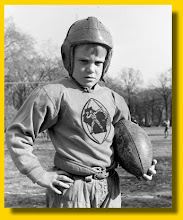 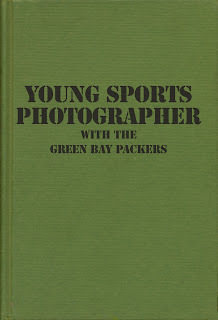 It is Young Sports Photographer with the Green Bay Packers, by John Biever (with George Vecsey). 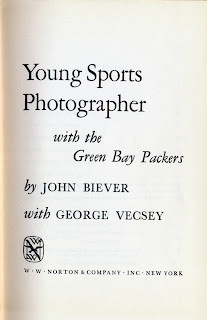 Biever is the son of long-time Packers official team photographer Vernon Biever, who sadly left us during the team’s championship season of 2010. 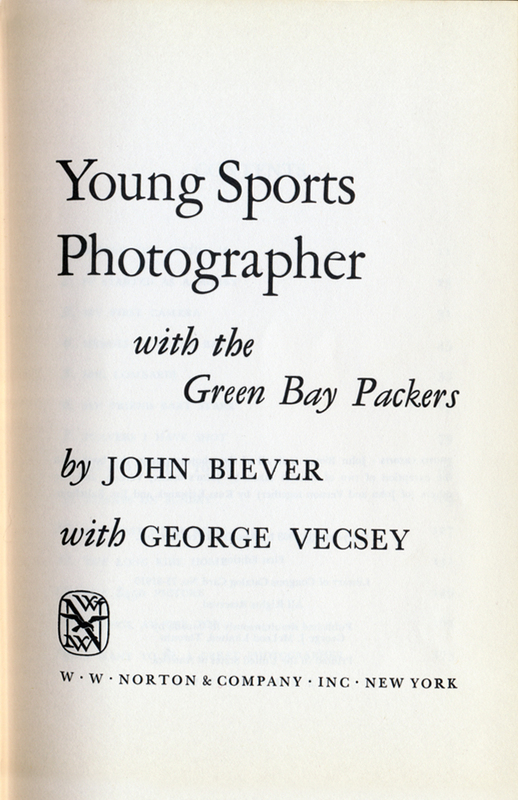 Still behind the camera, John Biever currently works for Sports Illustrated. 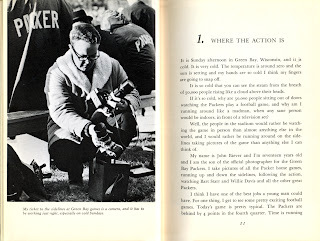 A photo of John at work on the sideline during the Lombardi Era. 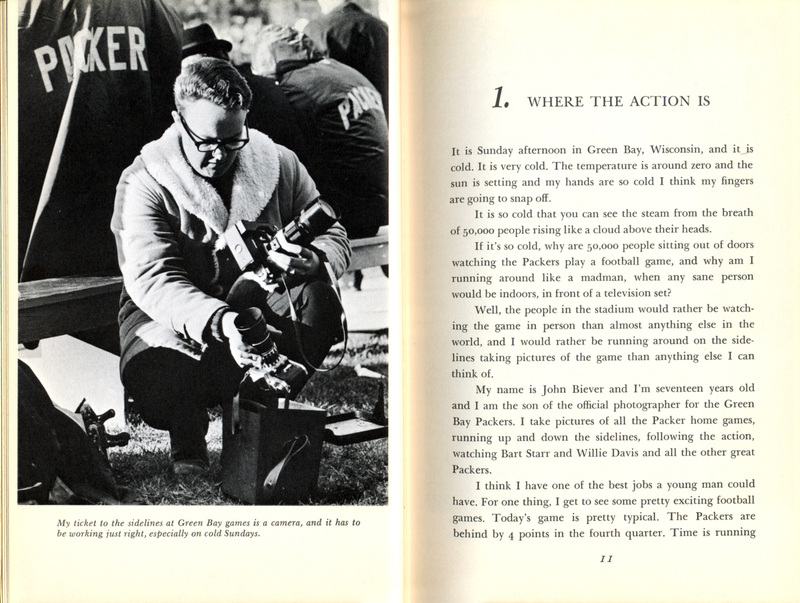 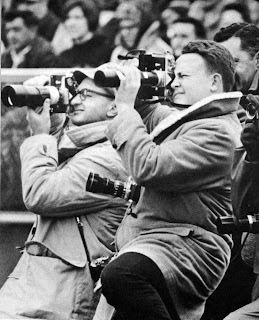 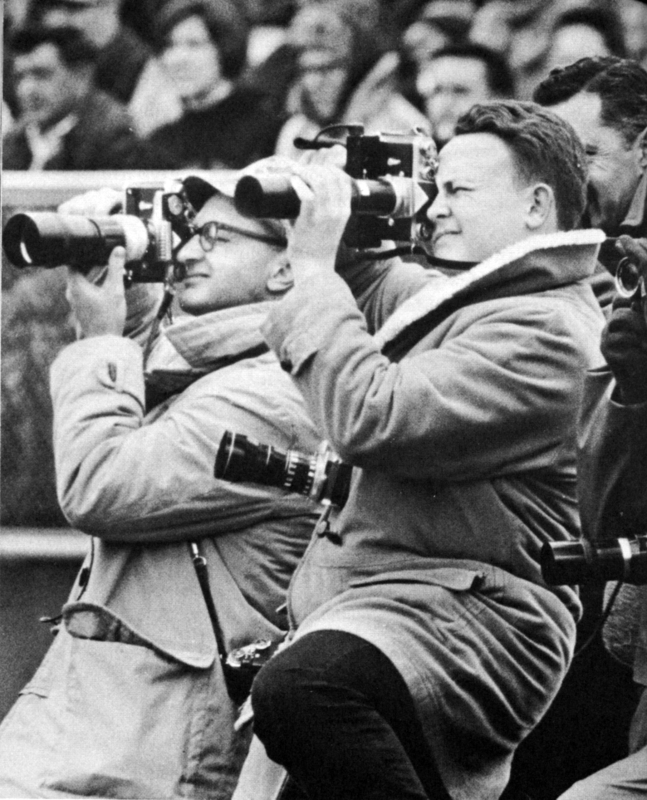 John (at right) shoots game action at Lambeau Field alongside his father, Vernon. 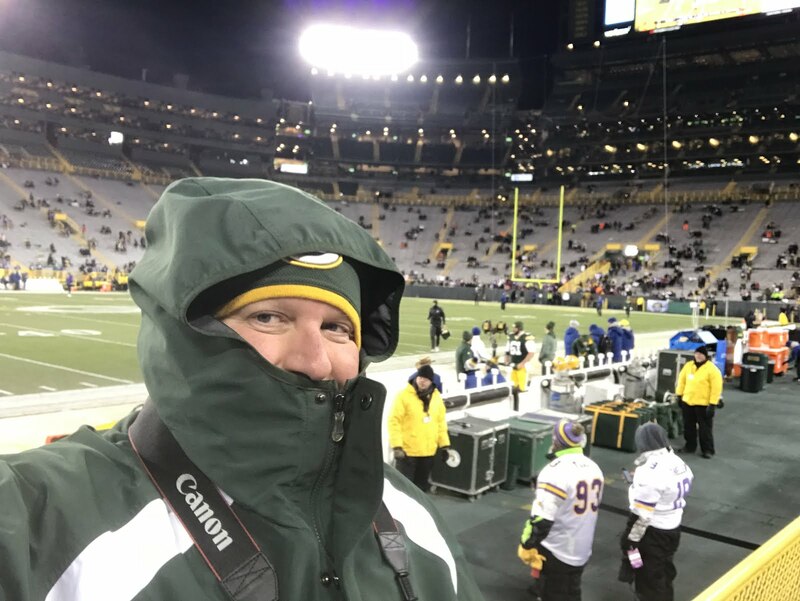 John’s brother Jim (seen here) currently serves as the Packers’ official team photographer.